Forget that image. That is not what a reversible collar was. The Civil War (maybe you’ve heard of it) didn’t just divide the country into two and give the South a perennial hill to die on. 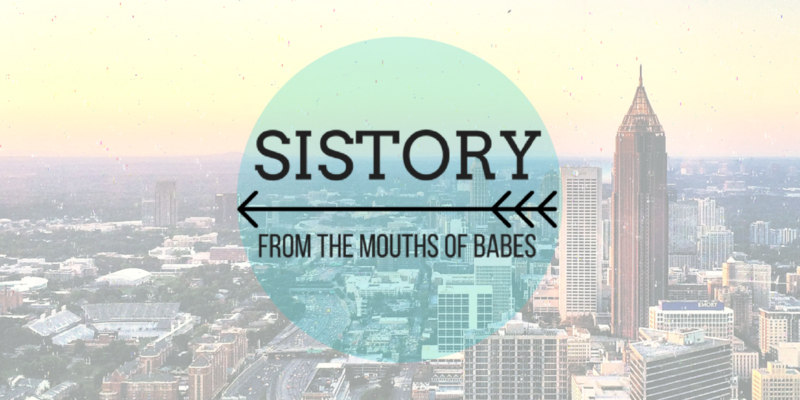 It also separated the North, and its burgeoning textile industry, from the South’s cotton production. While the North wanted to win the war to end slavery, they also wanted to win the war to regulate cotton prices and regain crop access so that they could produce textiles. If everything went back to the way it was, the North could sell the deindustrialized South’s cotton back to them as fabric and clothing, with sales tax (a tariff) to boot. It was pretttttty strategic. Yes, a house divided cannot stand, as Lincoln said; but also, wouldn’t it be great if the house could buy cotton on the cheap and sell it back for a bigger profit margin? The war mucked all that up. The seceded South was not going to help the North with this one-sided business model, and Northern industrialists couldn’t be seen buying cotton from the South and therefore underwriting the enemy. Everybody wanted a piece of that fluffy, white cotton – or rather, its profits – so illicit trading was common. Union officers sometimes turned a blind eye to corrupt dealings if they profited from them. Southern farmers burned their crops rather than let them fall into Union hands. It was one hot commodity. Those Northern industrialists weren’t just going to wait for the war to resolve itself. They responded to the cotton shortage was by eliminating the use of cotton in collars. Fine, they said. We’ll no longer use cotton to create shirt collars. Paper it is, baby! 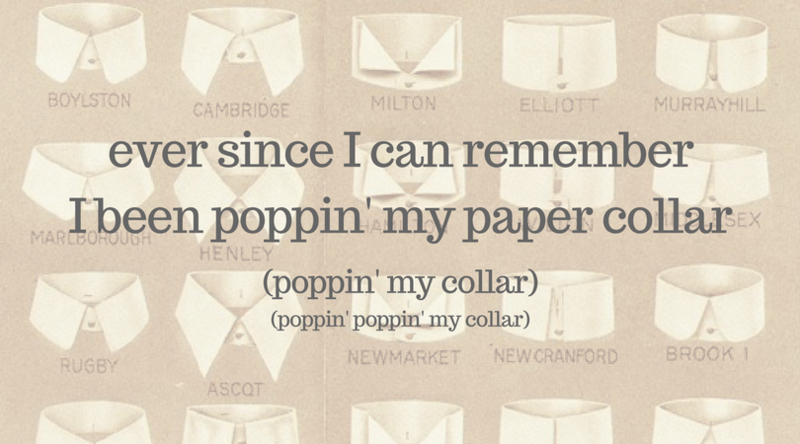 Paper collars for shirts could be inserted at the neck opening, used once, flipped over, used again, and then discarded, hence the name “the reversible collar.” It was kind of brilliant: they were cheap to produce, purported to be reusable, and yet consumers had to keep buying them. Detachable collars had already been in use since 1827 as a way to prevent sweat rings from forming on your nice shirt collars (neck sweat, everybody has it!) but the cotton shortage made paper the defacto material for collars. Soon, it became the look. In 1870, New England paper collar factories were producing 3 million a month. One of these, the Reversible Collar Company, was founded by Harvard alums in 1866, and enjoyed a heyday during the Civil War through Reconstruction and the turn of the century. Their business boomed and then declined by the early 1900s, and then Boston Bookbinding Company took over the building (a dying-industry story for another day). In 1985, the National Park Service declared it a site on the National Register for Historic Places, and a mere 32 years after that, I walked past it in Harvard Square and thought it contained the story of a 1980s fashion trend. Next Squad Goals: Can A Girl Get a Monument? I loved “slowly becoming my father.” I think, like you, I will start paying more attention to historical street signs. Glad to be a subscriber.